The first flying-boat design to be built by Hamburger Flugzeugbau GmbH, the aircraft-building subsidiary of Blohm und Voss, under the direction of chief engineer Dr Ing. Richard Vogt, was the Ha 138. Three prototypes of the original twin-engine design were each to have been powered by a different manufacturer's l, 000-hp (746-kW) engine for comparative evaluation, but development delays necessitated redesign to accept three 650-hp (485-kW) Junkers Jumo 205C engines. Almost two years after the completion of the mock-up, the first prototype (Ha 138 V1) took off on its maiden flight, the date being 15 July 1937. A second prototype (Ha 138 V2), with a modified hull design, joined the test programme at the Travemünde centre in November, but the aircraft were quickly proved to be unstable, both hydrodynamically and aerodynamically. Modifications to the vertical tail surfaces failed to improve the performance adequately and radical redesign was undertaken. The result was the Bv 138A, adopting the designation system of the Blohm und Voss parent company. The hull was much enlarged, its planing surfaces were improved, and the revised tail surfaces were carried by more substantial booms. 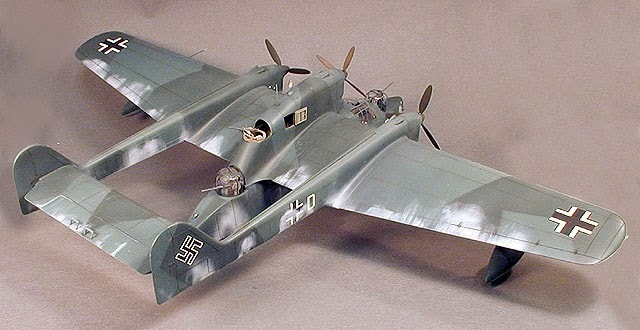 The prototype was followed by five more pre-series Bv 138A aircraft, preceding the initial production version, the Bv 138A-1 first flown in April 1940, and built to a total of 25 for the reconnaissance units of the Luftwaffe, with which it first saw action during the Norwegian campaign of 1940. Armament of this version comprised one 20-mm cannon in the bow turret, and two 7.92-mm (0.31-in) MG 15 machine guns in open positions located behind the centre engine nacelle and at the rear of the hull. Structural strengthening of the fourth pre-series aircraft, and the installation of 880-hp (656-kW) Jumo 205D engines and armament comprising one 20-mm MG 151 cannon in the bow turret, a similar weapon in the rear hull position, with provision to carry up to 331 lb (150 kg) of bombs beneath the starboard wing root, resulted in the Bv 138B-0 prototype. 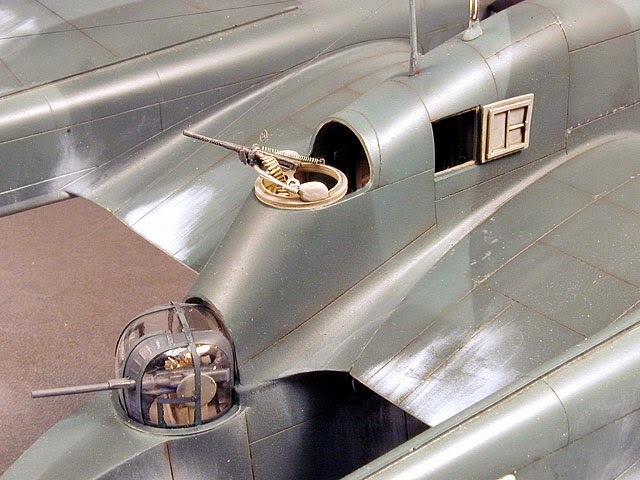 This was followed by 19 examples of the production version, designated Bv 138B-1, but the major production version, the Bv 138C-1, resulted from further structural strengthening and the addition of a 13-mm (0.51-in) MG 131 machinegun in the position behind the centre engine nacelle. 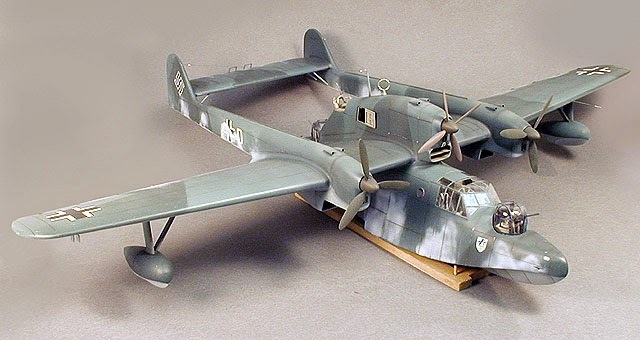 Introduced in March 1941, the Bv 138C-1 was built to a total of 227 units before production ended in 1943. Final variant was the mine-sweeping Bv 138 MS with a degaussing loop of dural, field-generating equipment installed and armament deleted, all of them conversions from the Bv 138B-0 pre-production aircraft. * Ha 138 V3 - Construction was abandoned due to redesign. 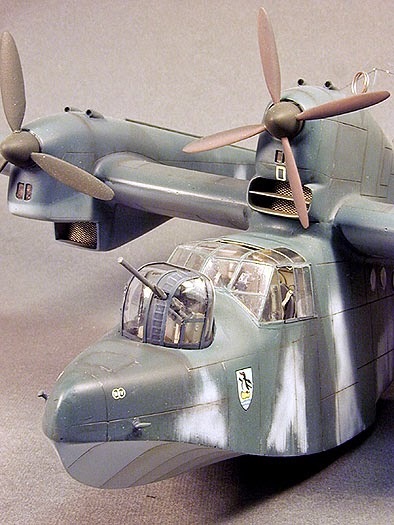 * BV 138 MS - Minesweeping version.